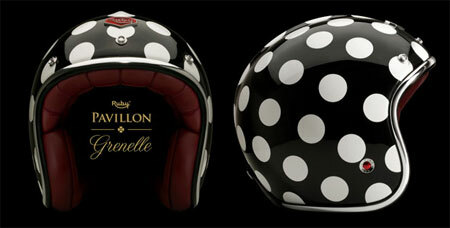 If you have cash to burn and want to invest it in some stylish headwear for your scooter or motorbike, you should check out the retro Pavillon scooter helmets from Ruby. Designed by Jerome Coste and available online from high-end Parisian retailer Colette, the helmet range has vintage looks, a carbon exterior and plush leather interior. And there’s a range of classic and bold designs, including the one above, all with the vintage-style Ruby plate on the front. Various sizes available, all retailing for around £443. In 1968, The Supremes had something of a makover – ditching the ball gowns for ‘street’ styling and going for a grittier sound for the Love Child album. And you can get that look with the V&A’s exclusive Love Child t-shirt. Based on the top worn by Diana Ross on that album sleeve, the t-shirt is being made available in limited quantities by the V&A to coincide with The Story Of The Supremes exhibition being held at the museum. You can pre-order now, with the shirts shipping from mid-May. Could be one of the t-shirts to be seen in this summer – and it retails in various sizes for just £18. Beggars come from Reading, but we doubt be there for much longer. Only a few months after forming they had landed a record deal with Heavenly Recordings and, having already supported Babyshambles a few months back, are about to embark on a nationwide tour in May supporting Joe Lean And The Jing Jang Jong. Musically Beggars mix Britrock swagger with the pop-art beat sound reminiscent of The Creation and The Who. The songs are encased in the raspy blues vocals of singer Justin Girdler, which recall Lee Mavers, or more recently the 22-20s. Clearly they are the ’60s-meets-Britpop sonic brothers of northern contemporaries The Troubadours. They have a Beatles-in-Hamburg vibe to their look (plenty of moody shots of them dressed in all-black) which should endear them to the all-important teenage girl demographic. Poster boys for UK guitar rock they may eventually become, but they aren’t all arrogant bluster; as shown by their choice of covering Leonard Cohen ‘The Future’ in their live set (and now available as a limited edition 7" and download). The debut album has already been recorded, with Brendan Lynch producing, and will be out in the autumn. Hear Beggars on Myspace here. Below is a taster from the debut album. The Who – in conjunction with the Teenage Cancer Trust – is currently running a competition to win The Who’s Magic Bus – and it is a real bus. 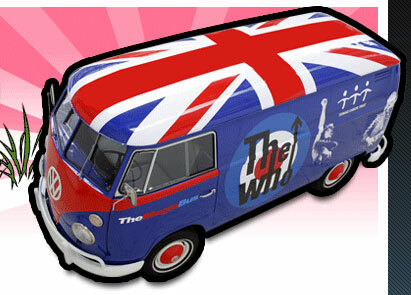 Well, it’s actually an original (but customised) Volkswagen T1 panel van from 1965, signed by both Roger Daltrey (patron of the Teenage Cancer Trust), and Pete Townshend. You have to pay £5 to enter (with proceeds going to the charity) and answer a ridiculously easy question. And as a bonus, all entrants get a free download of a previously unreleased live performance of The Who’s ‘Magic Bus’ performed during the International Bus Meeting in Hannover in October 2007. If you are feeling lucky, the link below takes you to the band’s competition page. Following Chris Rea’s reinvention as a beat artist, another ’80s star, Mick Hucknall, is paying tribute to the 1960s by recording an album of Bobby Bland songs. The Simply Red man is to begin releasing music under his own name, and to kick it off he’s made ‘Tribute To Bobby’, a 12-track album of Bland covers set for release on May 19th. Hucknalls’ tribute to the Lion of the Blues comes from Bland being one of his ‘inspirations and music idols’ apparently. 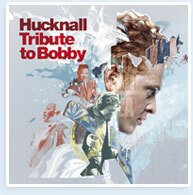 The album is available to preview until May 1st on Hucknall’s official site here. The CD release will feature a bonus DVD containing a ‘making of’ documentary shot in Memphis (a preview is also on his site). Tickets for the tour are available to buy here. ‘Tribute To Bobby’ is available to order from Amazon here.